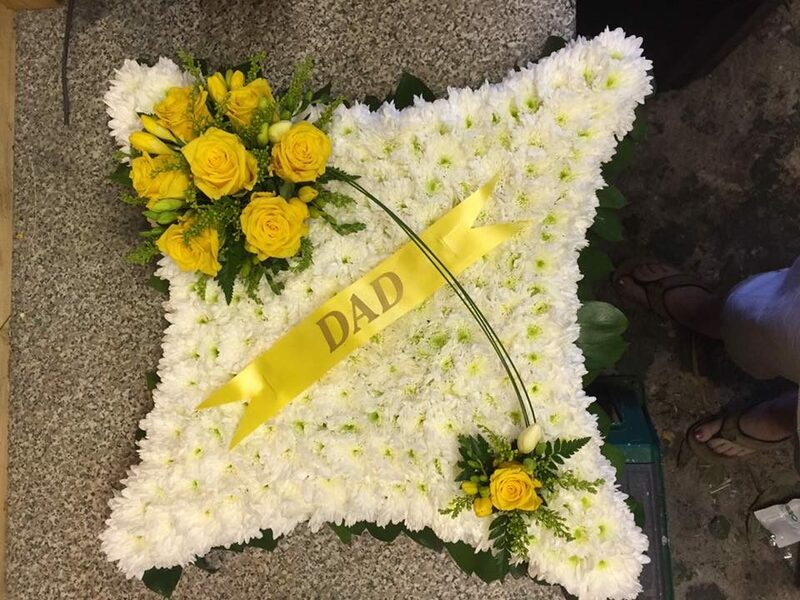 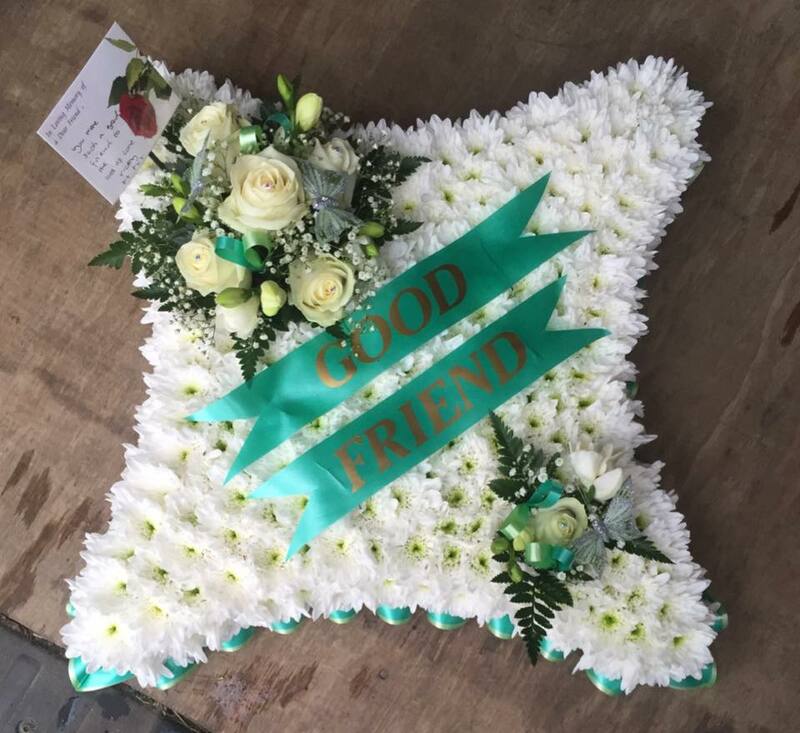 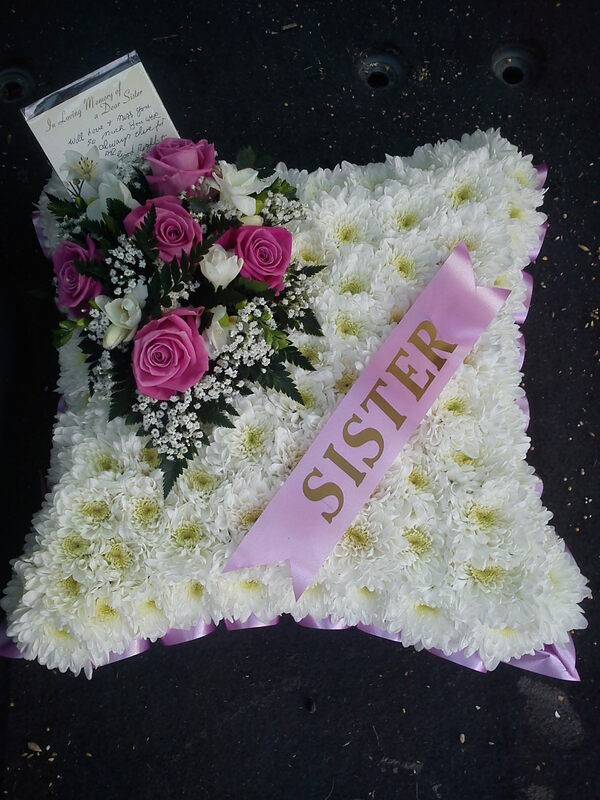 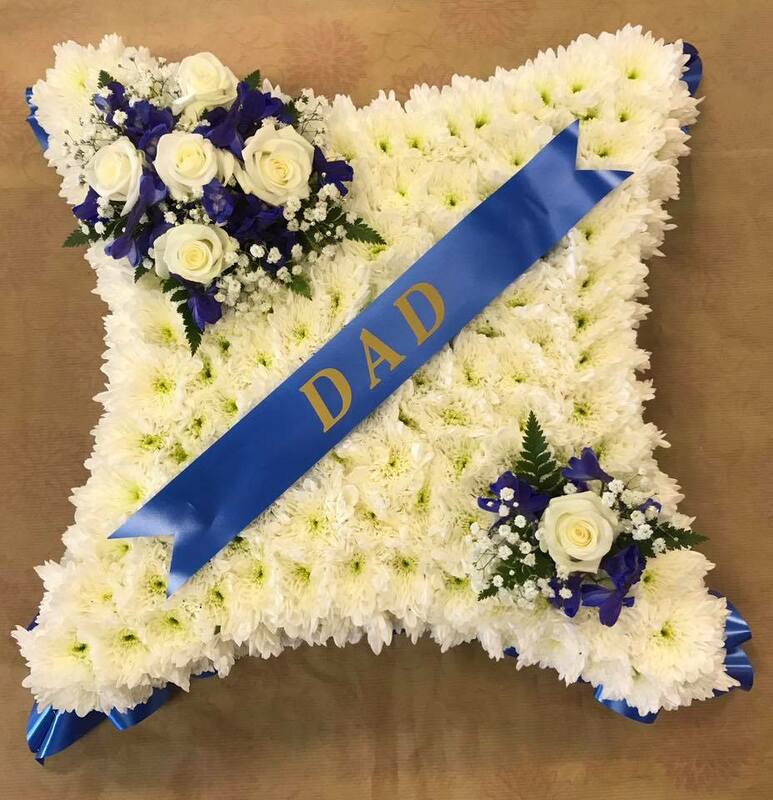 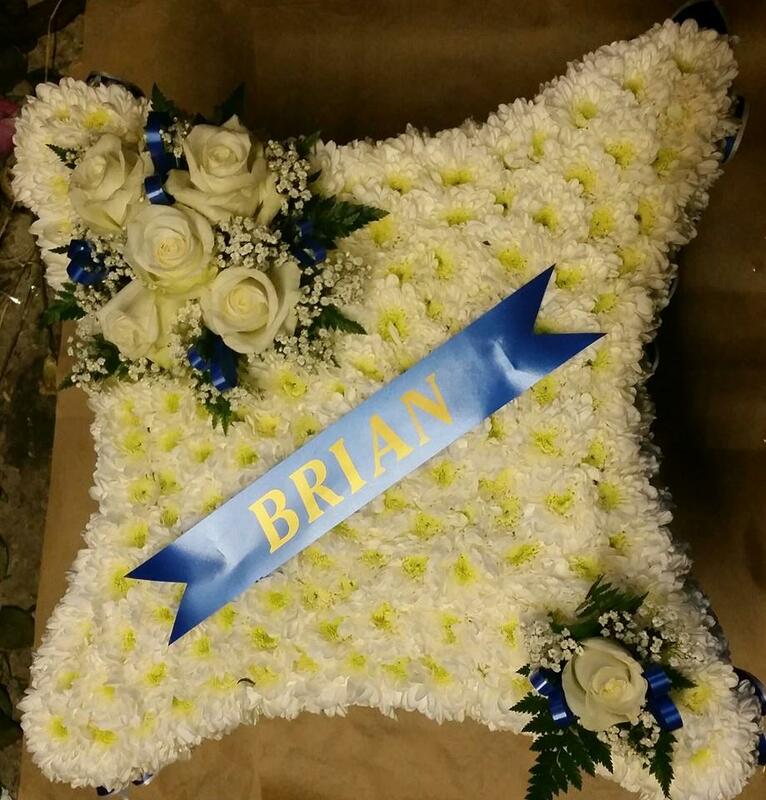 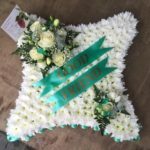 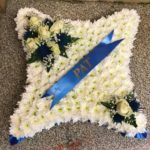 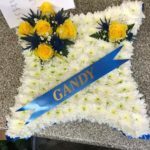 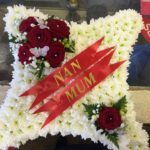 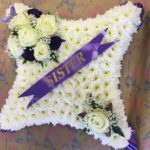 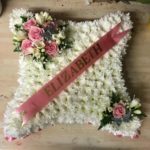 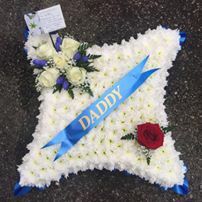 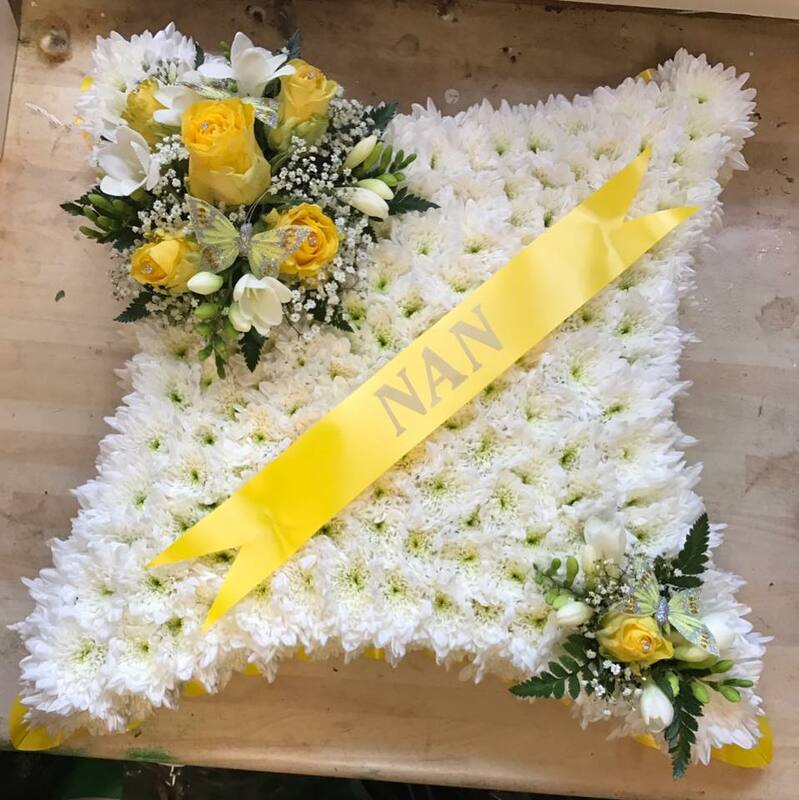 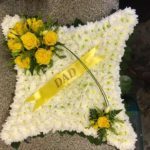 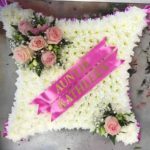 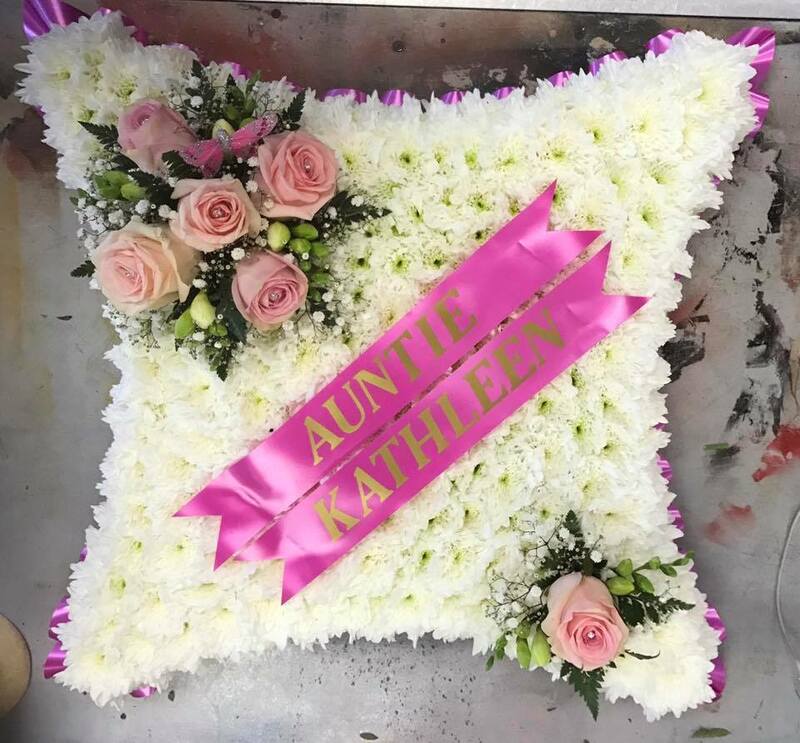 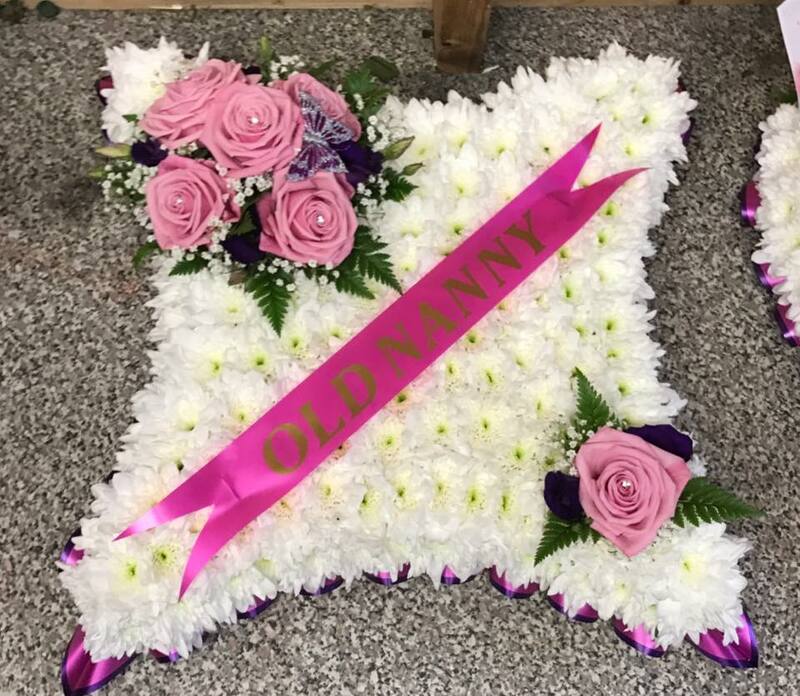 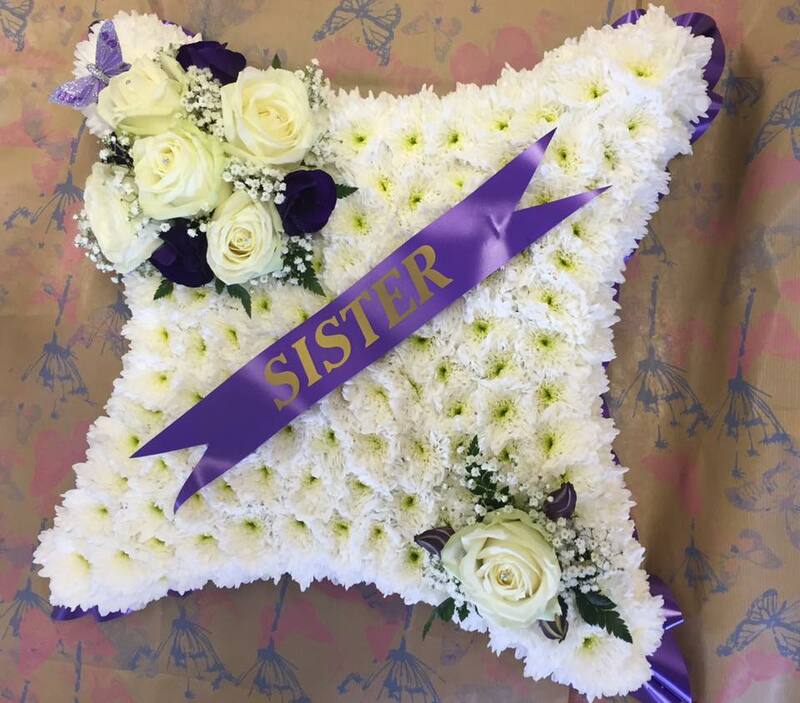 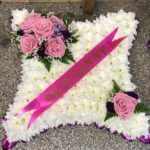 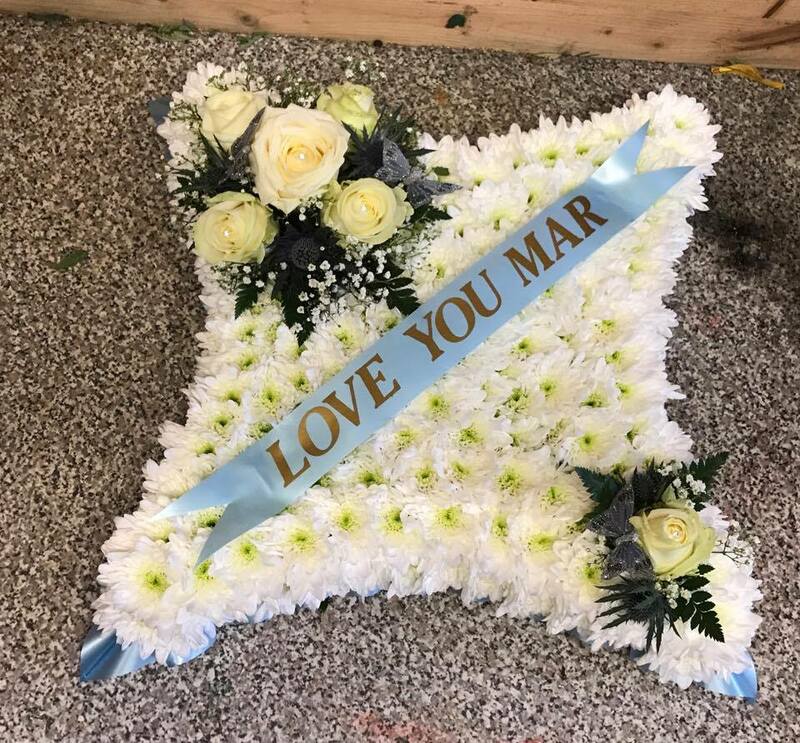 The cushion floral tributes are available in three different sizes. 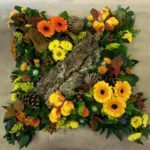 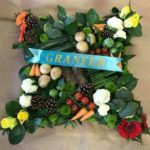 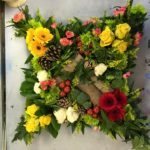 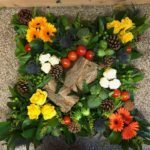 The cushions are usually done in a based design with a double chrysanthemum surrounded with a pleated ribboned edge which co-ordinates with the colour of the posy. 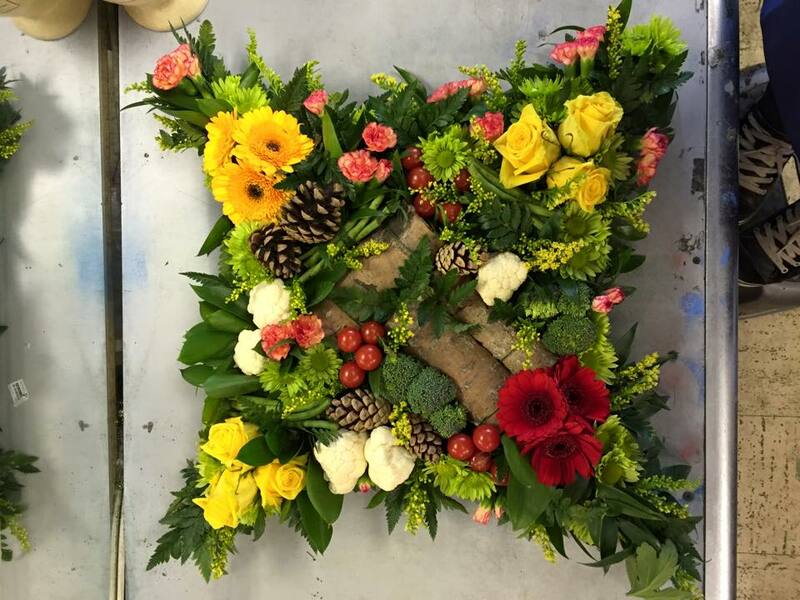 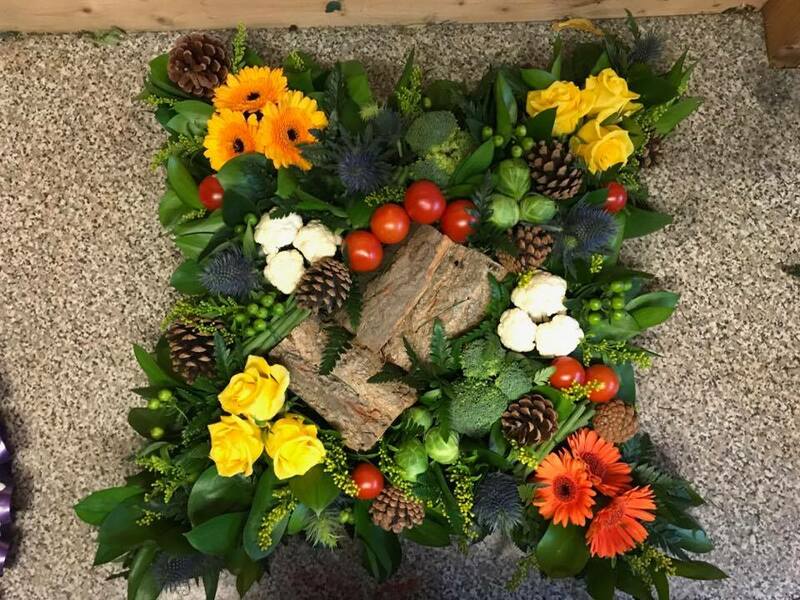 The posy consist of roses, freesias and gypsophila. 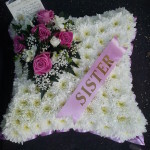 The cushion also comes with a name ribbon which compromises of a corresponding ribbon with gold lettering. Another option would be an open cushion design. 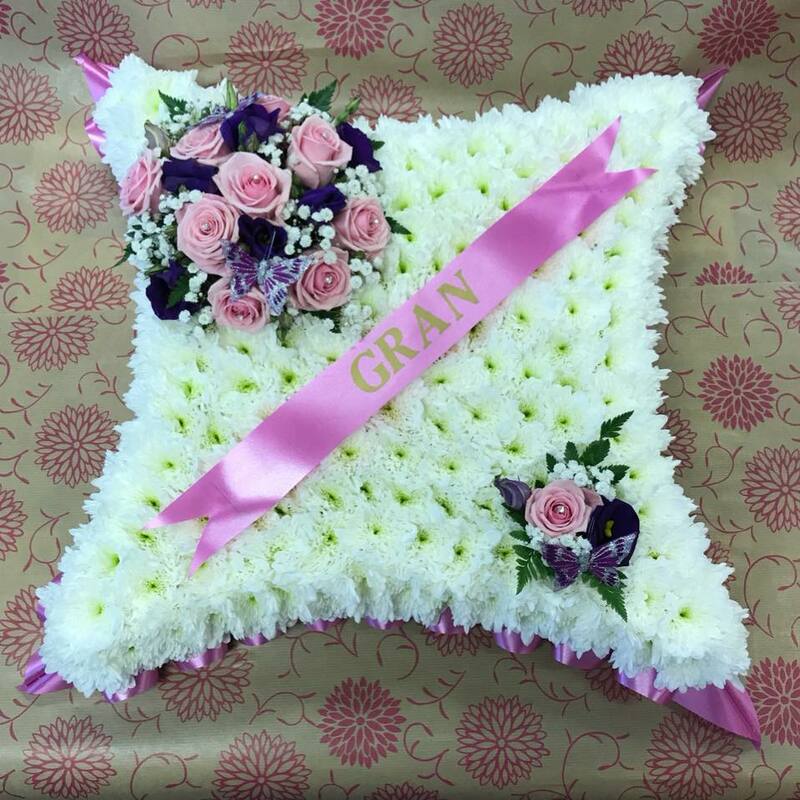 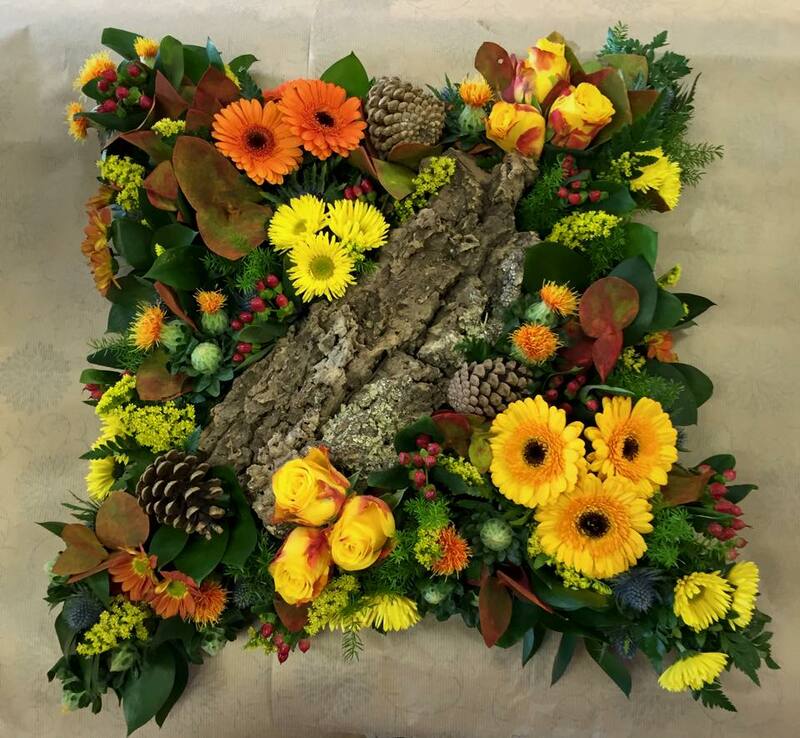 Which is a mix of roses, carnations freesias etc. 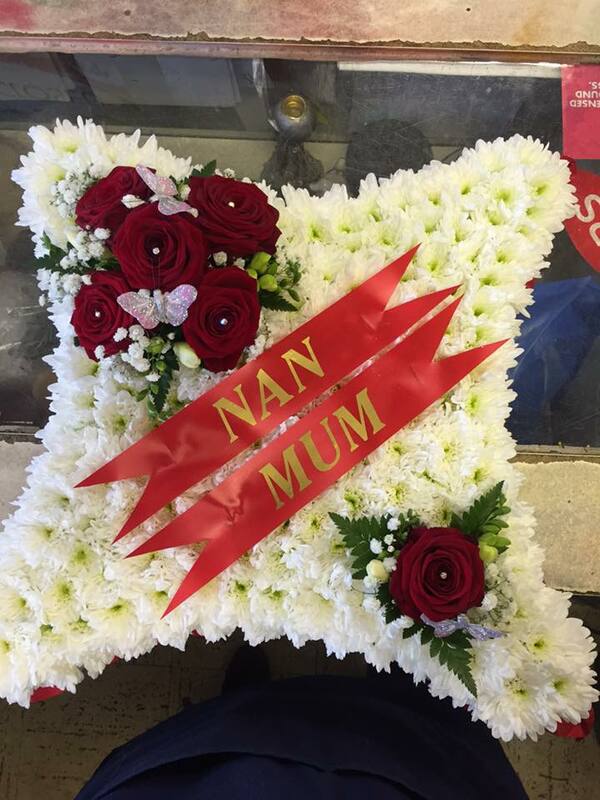 We also add diamante pins and butterflies for the ladies at no extra cost for that extra sparkle. 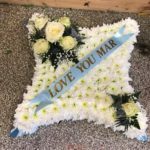 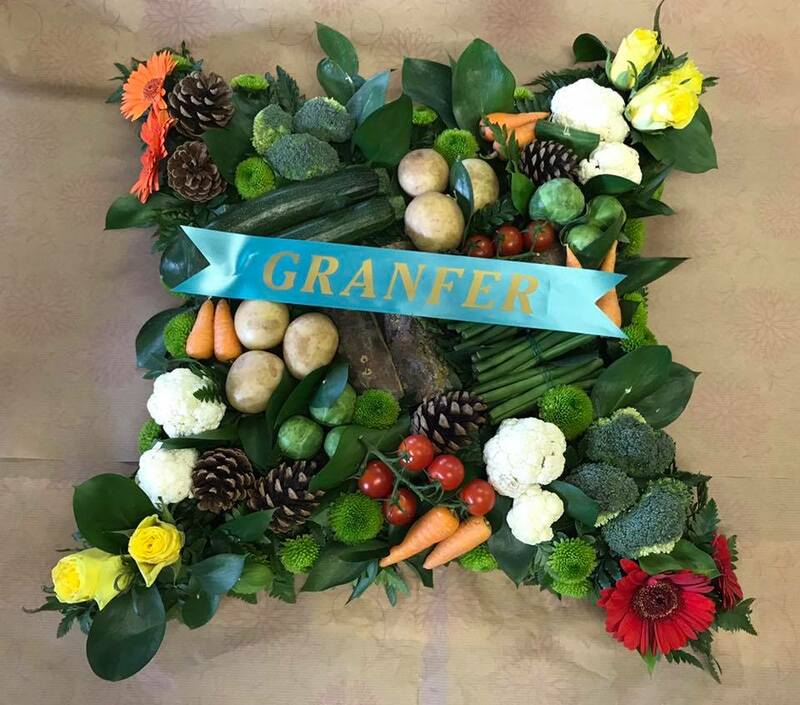 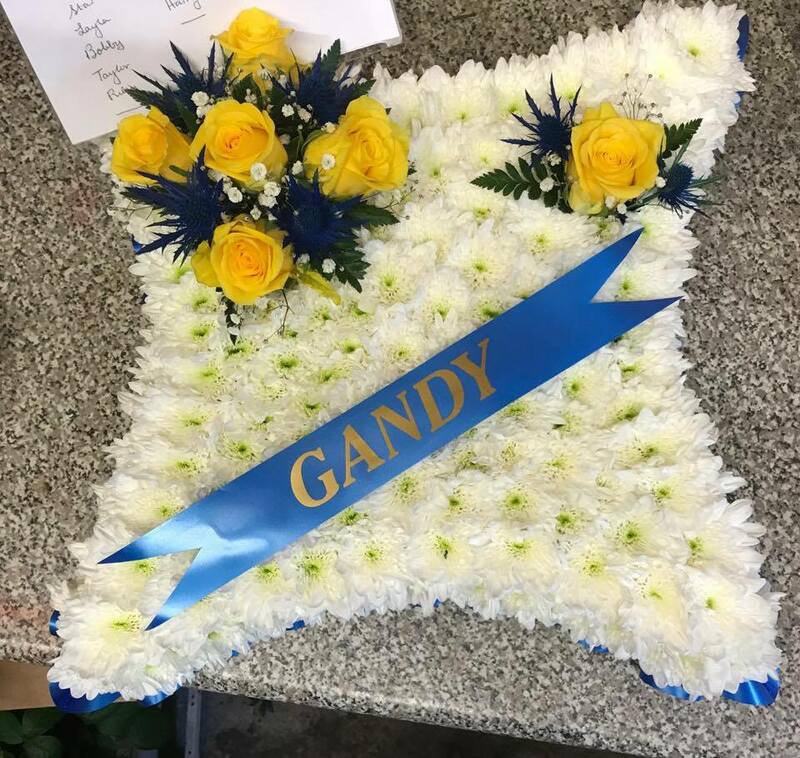 A fitting tribute for that special loved one.